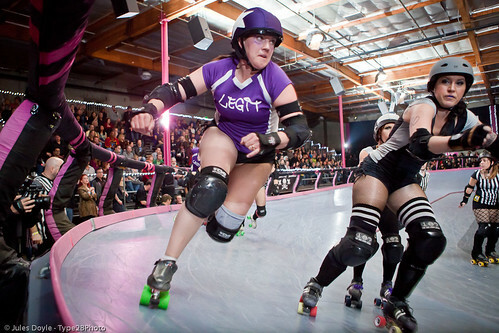 Last weekend I drove down to LA with my friend Lulu for a quick trip to see the LA Derby Dolls all star team The Riettes take on Team Legit (an all star team of skater who skate flat track roller derby). 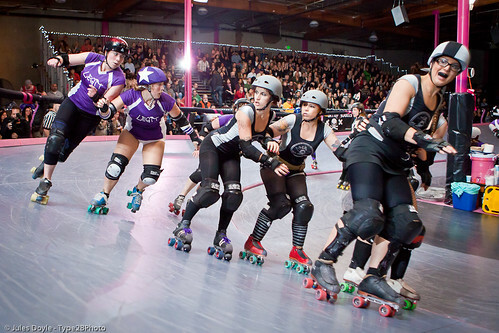 One of my items on my 30 before 30 list is to skate a banked track roller derby practice or bout. I have been skating flat track roller derby for the past 5 years and I am very interested in learning more about banked track. The trip down to LA was to watch this amazing match of talent but also to learn more about the banked track rule set (they have different rules than flat track). The bout was very inspiring, it was great to see so many flat track skaters do an amazing job on the banked track. This trip really solidified my interest in trying out banked track roller derby!